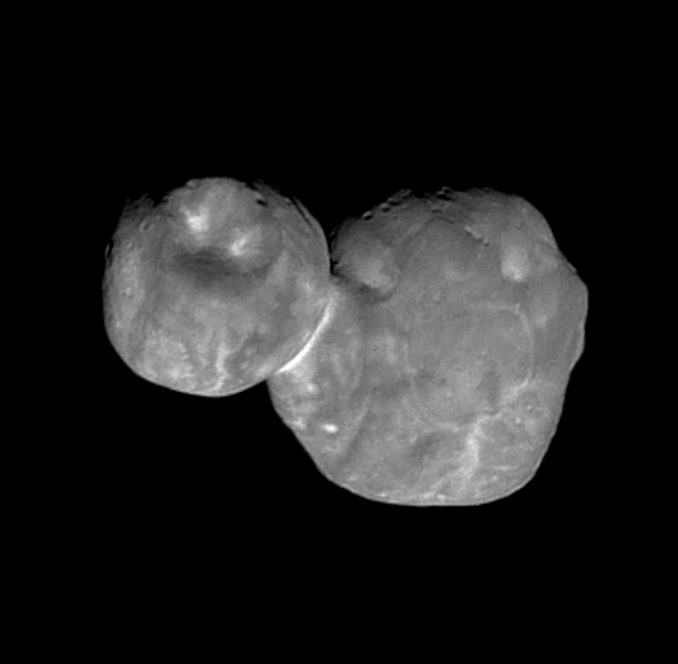 The latest image was captured on 1 January when New Horizons was 6,700 kilometres (4,200 miles) from its target and just seven minutes before the moment of closest approach. Taken by the spacecraft’s wide-angle Multicolour Visible Imaging Camera, or MVIC, surface features 135 metres (440 feet) across could be distinguished. “The oblique lighting of this image reveals new topographic details along the day/night boundary, or terminator, near the top,” the Applied Physics Laboratory at Johns Hopkins University said in a photo description. Because of New Horizons’ enormous distance from Earth – as of this writing, 6.64 billion kilometres (4.13 billion miles) – it takes radio signals six hours and nine minutes to cross the gulf to the inner solar system. Given the probe’s relatively low-power radio system, it will take about 20 months to downlink all the images and other data collected during the New Year’s Day flyby. 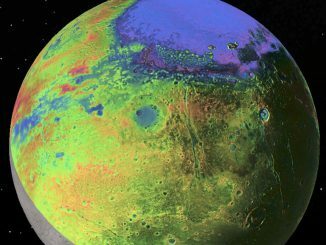 Pluto is thought to possess a subsurface ocean, which is not so much a sign of water as it is a tremendous clue that other dwarf planets in deep space also may contain similarly exotic oceans, naturally leading to the question of life, said one co-investigator with NASA’s New Horizon. 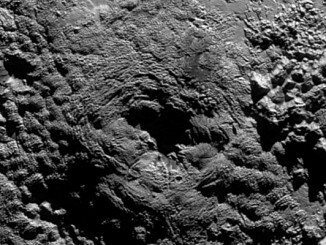 NASA’s New Horizons spacecraft took this stunning image mere minutes after closest approach on 14 July 2015. 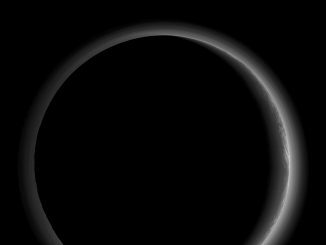 Seen here, sunlight filters through and illuminates Pluto’s complex atmospheric haze layers over portions of the nitrogen ice plains informally named Sputnik Planum, as well as mountains of the informally named Norgay Montes.